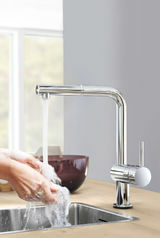 Turn the water flow on and off with just a touch to the spout with your wrist or forearm. 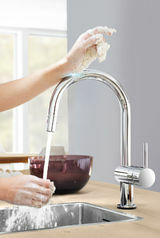 No more mucky finger prints to clean and no fear of cross contamination. 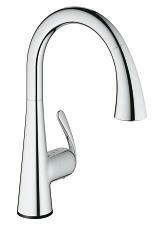 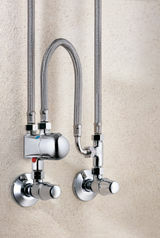 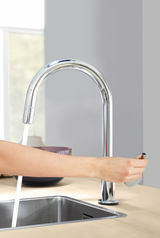 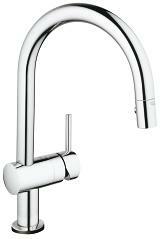 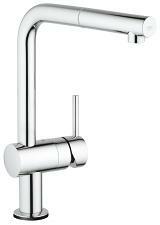 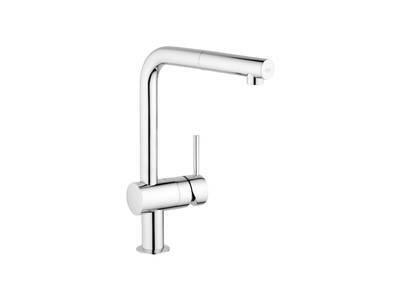 The sleek design with a wide swivel spout remains unchanged, but the immaculate fi nish will stay cleaner, for longer. 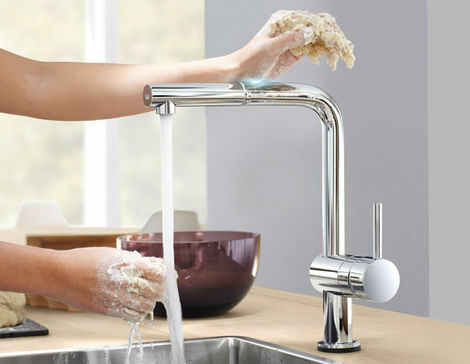 Choose your Touch function in a cold water-version or upgrade with an under-sink Grohtherm Micro thermostat for perfectly controlled warm water and no danger of scalding.